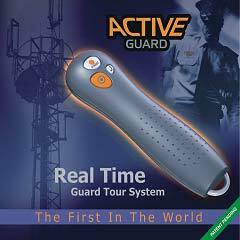 ActiveGuard is an innovative solution for supervising work time and routing in real time. It offers two-way voice communication via the cellular network, as well as data monitoring from a remote control room PC, via the Internet. 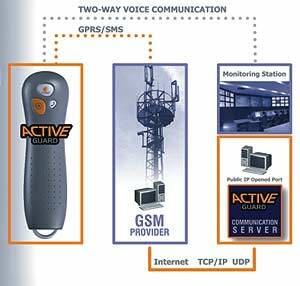 The ActiveGuard system makes use of RFID tags at checkpoints along the route which are read by the ActiveGuard handset carried by the personnel. 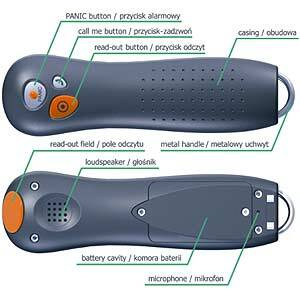 The handset then communicates the identity and location information to the control room using the GSM/GPRS network. Personnel can also initiate communication with the control room or hit the panic button in an emergency. 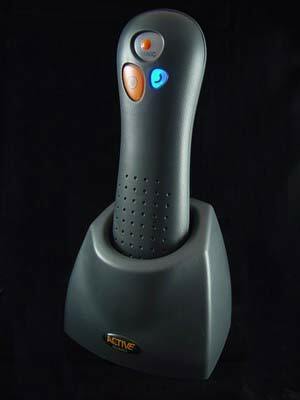 The control room PC software provides a real-time graphical view of the activities, with exceptions flagged on the screen for instant follow up. Information is stored and can be used for time and attendance purposes. ActiveGuard is a reliable, low-cost, high security solution that is easy to implement and offers a high level of safety for employees, and a high level of control for management.